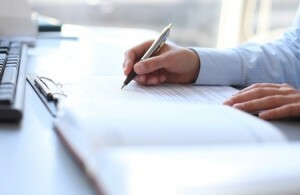 The property disclosure report is an important document in any real estate transaction. In it, sellers must reveal any issues relating to a property that could negatively affect its value. That’s why it’s so important for home sellers to set aside some time to fill out these forms thoroughly and accurately. Sellers are required to disclose any physical issues with a home, such as a leaky window or basement that’s prone to flooding. If the home was treated for termites, that should be on the form. Anything the seller knows about that could affect the property’s value or the home buyer’s enjoyment should be included when filling out a seller’s disclosure form. These forms aren’t a substitute for a home inspection, of course; home buyers still should have a thorough inspection of any property they are thinking about purchasing. But buyers also should carefully read the property disclosure report as well. While disclosure statements are designed to protect home buyers from purchasing a home with hidden defects, they also can protect sellers from future legal action if the buyer alleges the seller hid a defect in the property. The bottom line: If you know it, disclose it.